Chemical reactions take place all around us. Being able to identify reactions and communicate what is happening is vital to the scientific community. 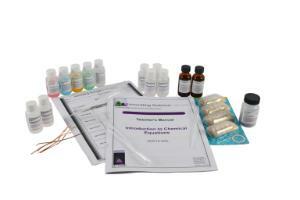 This kit will introduce two common types of chemical reactions; single replacement and double replacement. Students will perform a series of experiments highlighting the differences in these reactions and use what they learn to write balanced chemical reaction equations.